It’s coming! The Tea Party from Hell! Excellent Job as Always! Man the plumbing on Cheese Island must be a nightmare. 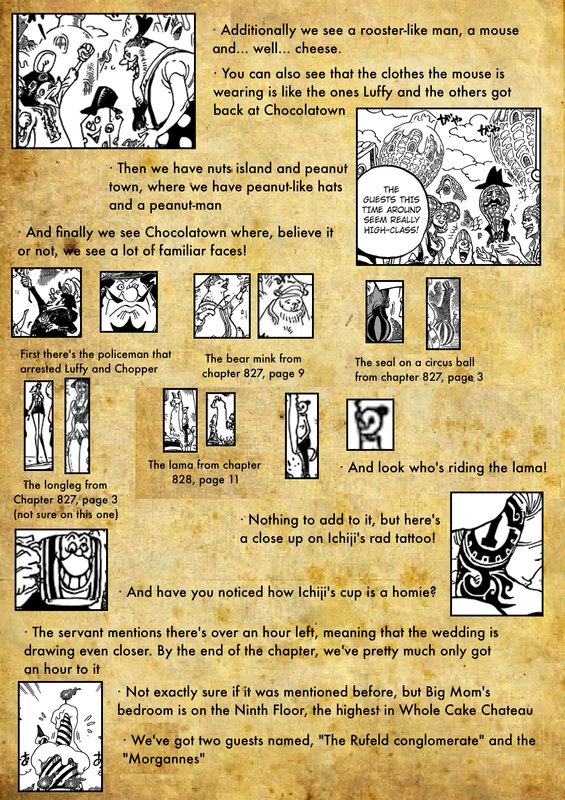 I think Pudding is definitely gonna pull something. 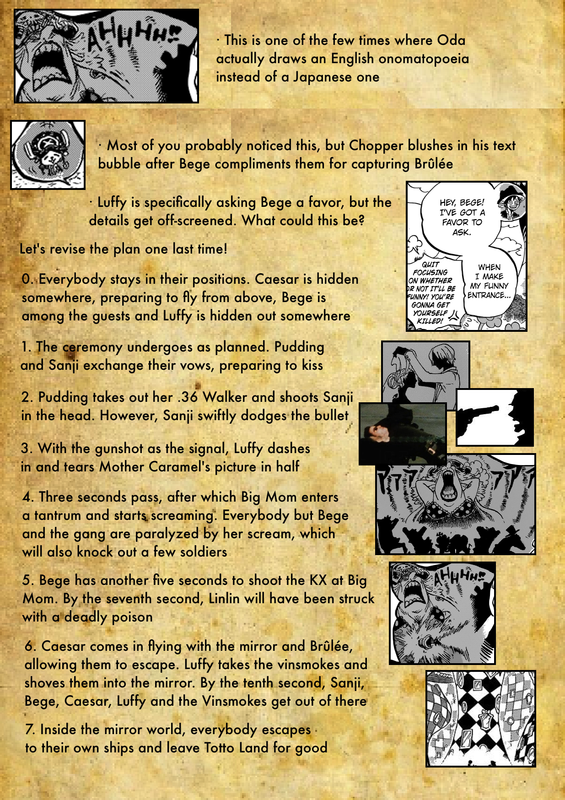 In fact, I wonder if she’ll forgo the bullet, and just kiss Sanji. Since he’d be ready for the Gun, he wouldn’t see it coming. And it’d effectively help Pudding avoid messing with Memories. 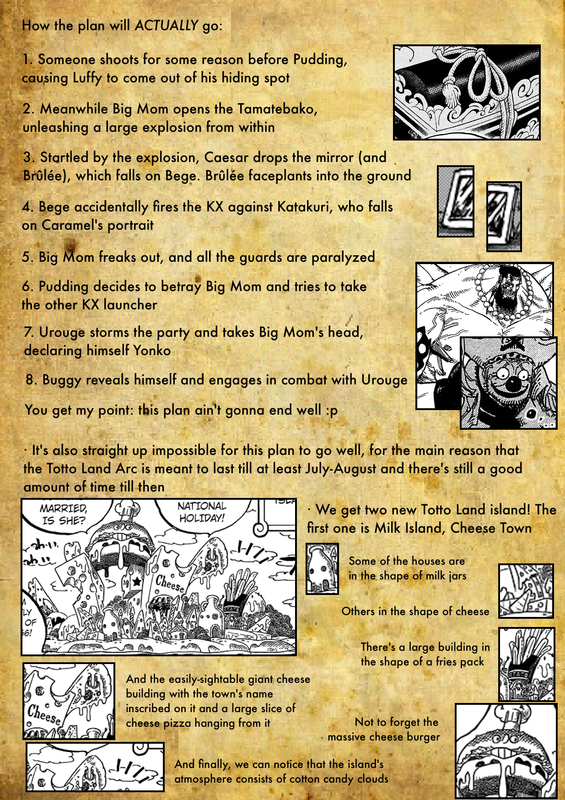 And with no Gunshot, (or a mistimed gunshot at least) Luffy’s entrance will be severely delayed. But yeah, like you said stuff isn’t gonna go to plan. 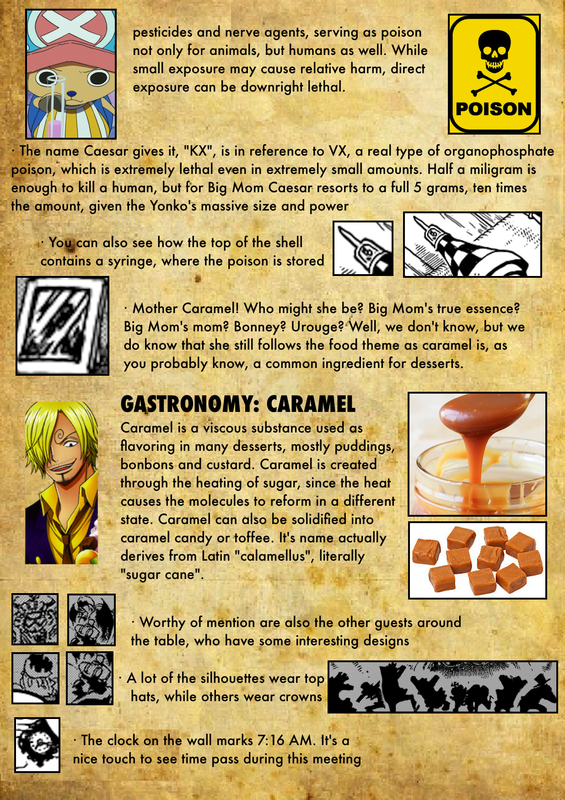 I get the impression Mother Caramel is someone new, but connected somehow to somebody we know. 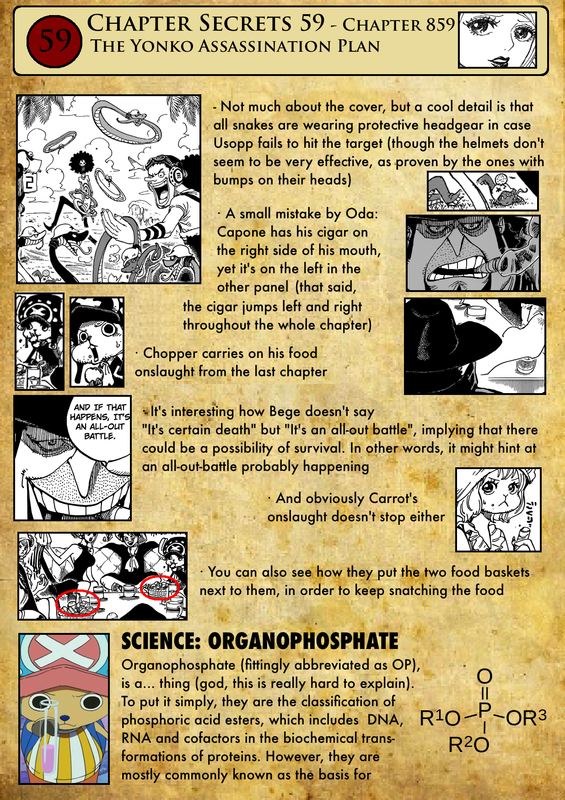 Like another Supernova is friends with her, or she ran an orphanage and Big Mom was one of the kids there, along with somebody else we know.